Working out any business comprises of a various intricate business decision, secret work structure, planning, tenders, investments, associations, etc which are purposefully kept confidential in order to make the business successful. For example, in restaurant business nobody shares recipes, which are absolutely confidential, in construction; nobody shares tender quotes or structure plan, etc. Therefore, every business in some or the other way requires stringent confidentiality terms to assure the flourishing of business, ensure edge over rival businesses, etc. 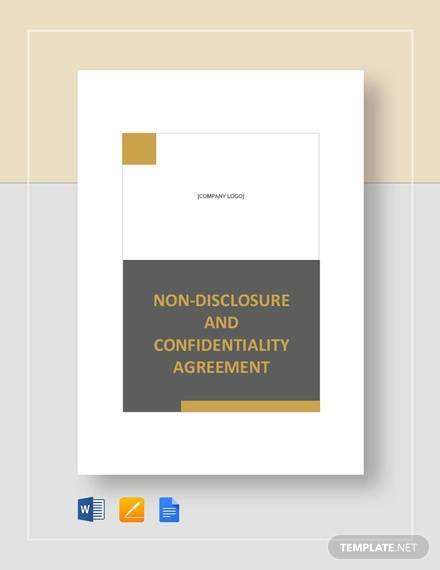 These confidentiality terms, however, need to be on pen and paper with employees, associates, partners to validate the authenticity of the Confidentiality Agreements. Every business is framed naturally based on a Plan outline of confidentiality codes and terms to ensure business secrets are maintained securely. 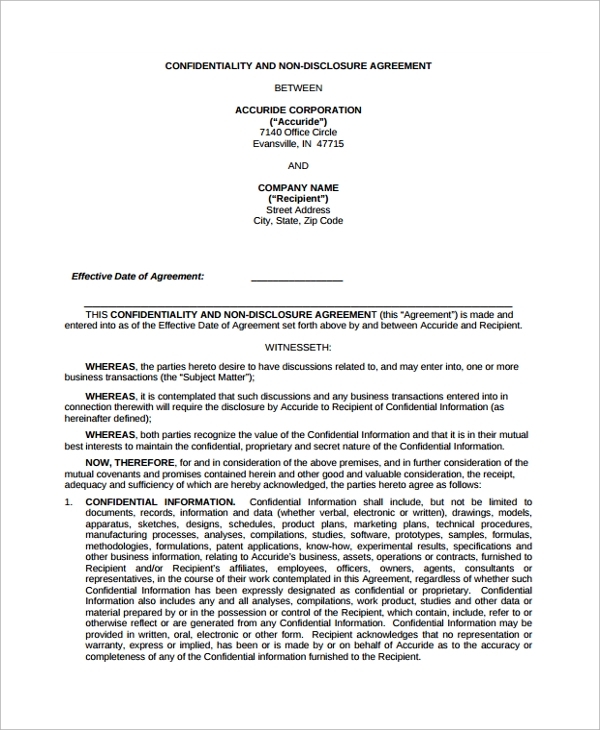 You can however always add to the standard framework of confidentiality terms, other specific inclusions and utilize this instant confidentiality agreement outlines. Sales businesses follow a basic structure of business codes to achieve higher aims. Since sales business have several rivals in the market and in your way to success, maintaining top notch confidentiality terms to secure business activities becomes necessary for you. 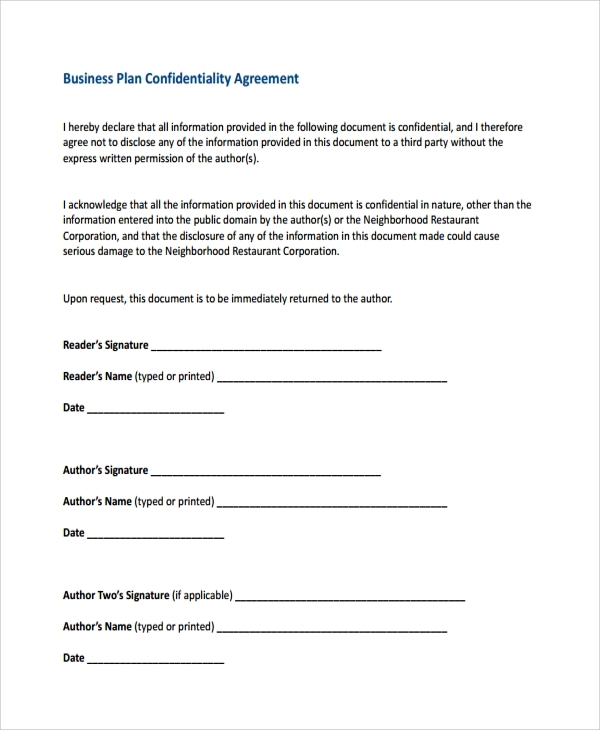 Therefore, with these smart outlined templates for sales business confidentiality agreement, you can secure their business. 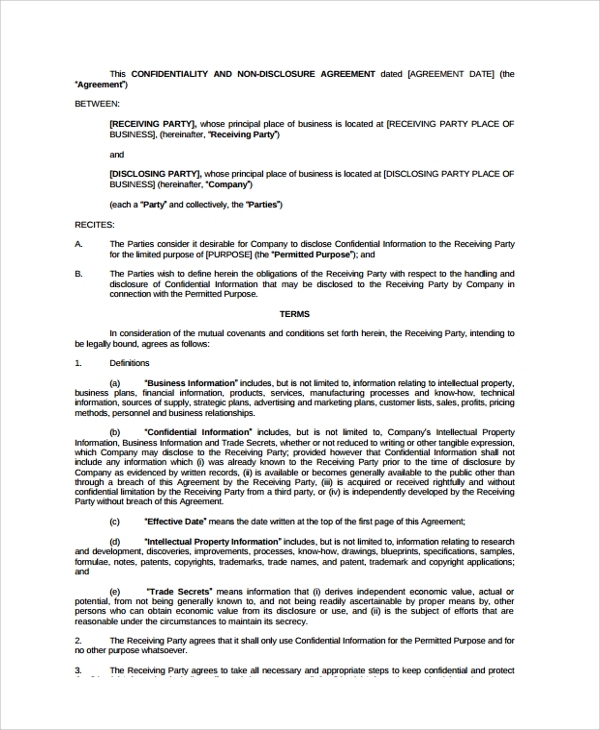 In business giant purchase deals, a company takes over a purchase of massive stocks, purchase of rights entail the necessity of well-defined agreement to secure the confidentiality of the actual purchase deal quotes and details. 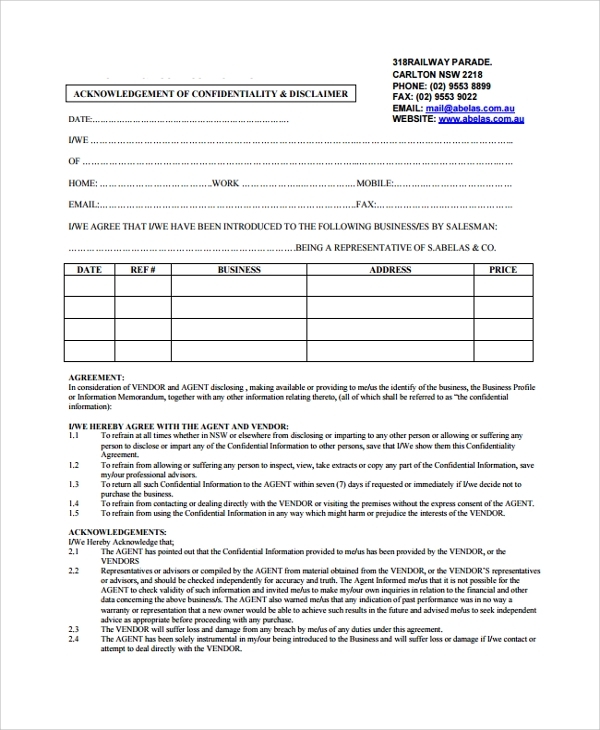 These templates provide a predesigned structure of purchase confidentiality term notes, details, and format of the agreement for ready usage. 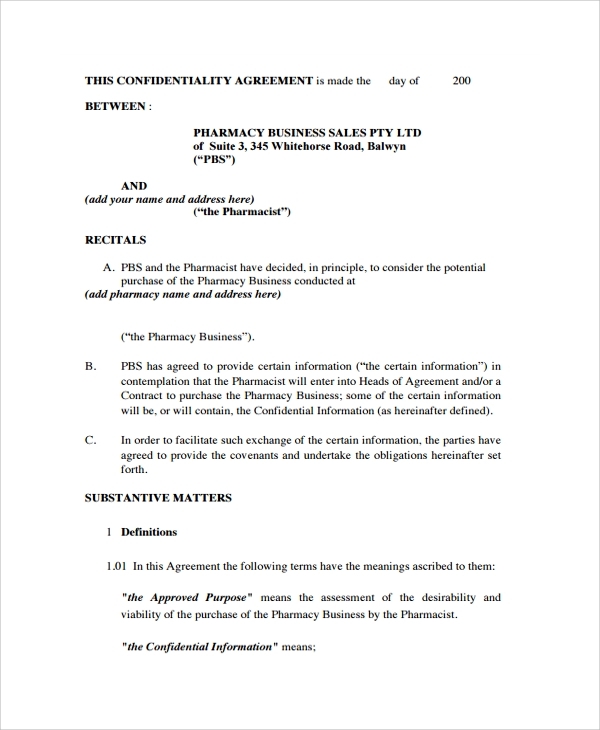 What is the need for Confidentiality Agreement in Business? Business is all about right market approach and tactics. Business involves intricate business plans, designs, and work schedules to achieve success. The different modules of business are closed circle confidential issues which cannot be made public so as to ensure business security, financially, commercially, etc. Therefore Standard Confidentiality Agreements predefines the strict norms and terms for exclusive confidentiality maintenance of business issues. Since verbal agreements do not have any valid ground, a written is an inevitable solution to attain stringent confidentiality norms. Every business is based on few pillars, and confidentiality of business internal issues is one such prime pillar. However, businesses are often entailed with breach of trust, aggressive rivalry, rivalry trespasses, etc. 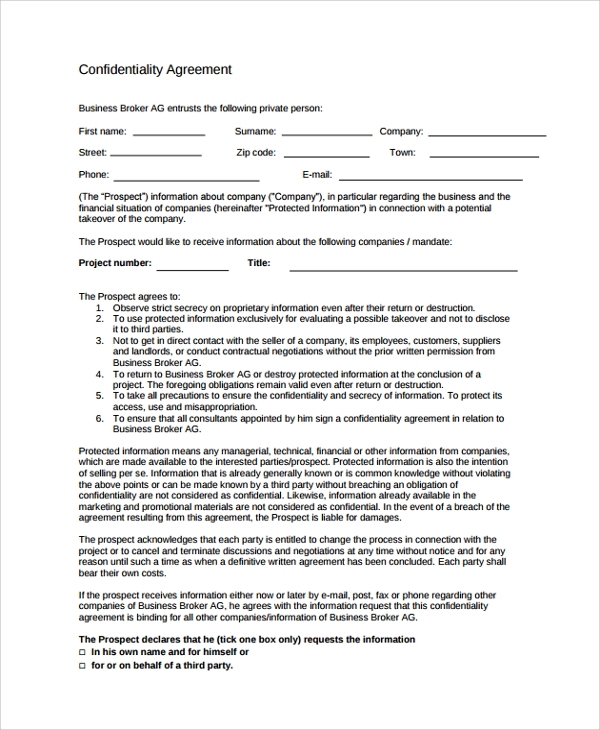 A confidentiality agreement for your business ensures that business intricacies and plans and motifs, everything is secured within your own business circle and group. Since it is a written and legal agreement, breaching of terms of the agreement can also call for action. 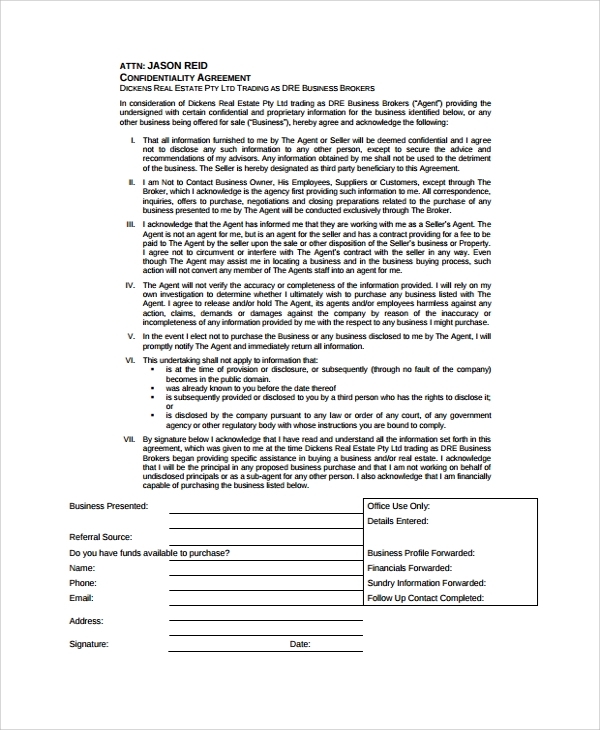 This scope of action for any kind of breach of agreement prevails through the business circle and helps to avoid any action of non-adherence to the agreement terms and conditions. 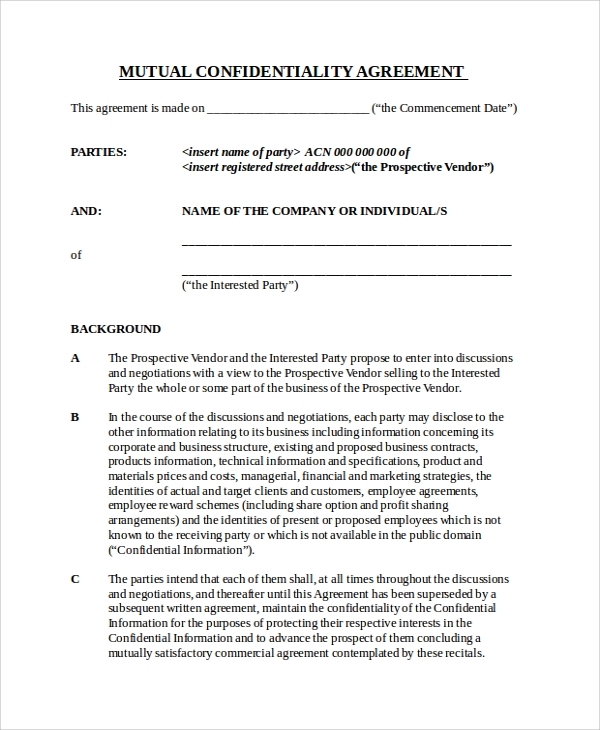 Using these Generic Confidentiality Agreements is simple and quite easy. You can start using the templates by downloading them directly from the online source. 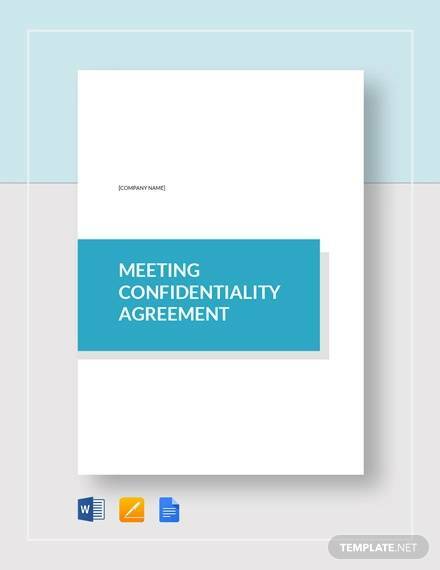 Once you have downloaded an agreement template from the massive range of business confidentiality agreement variations available online you can fill in the columns and areas of agreement accordingly. Maintaining high security and confidentiality codes to secure your business plans and workings from the market is an unavoidable condition for success in business. 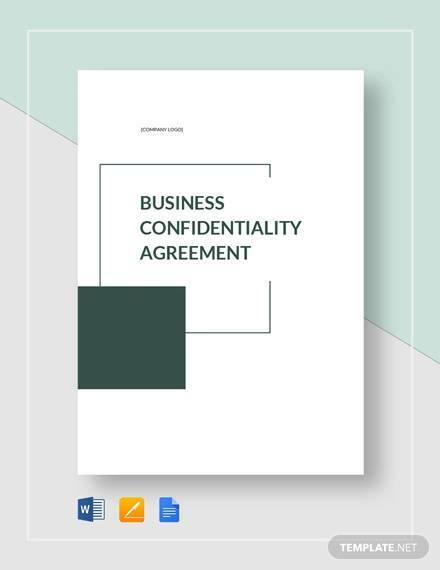 Therefore, getting a legal as well as valid, written business confidentiality agreement is a compulsory action in every business, big or small, private or public enterprise.